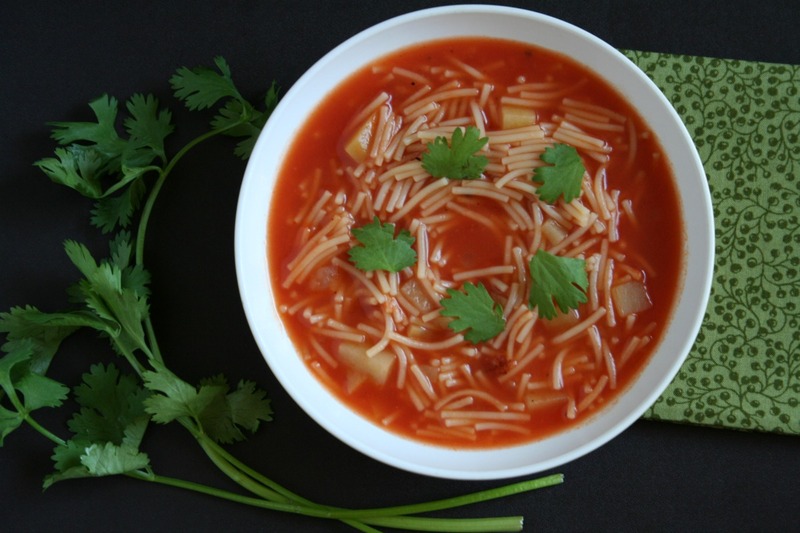 Cultures all over the world have enjoyed a form of pasta for centuries, and while this humble noodle has roots in Moorish Spain, fideo is a staple in most Mexican pantries. In Spanish, fideo means noodle. This noodle is typically found in a bag of short dried pasta or in little nests of dried noodles, which will typically be broken up as well. 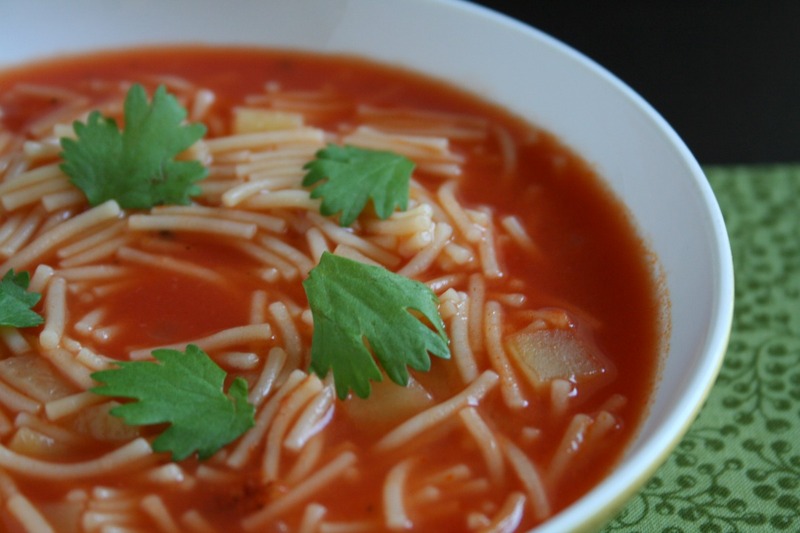 Sopa de fideo is a really easy and quick noodle soup, and is eaten for lunch or dinner typically, often with warm corn tortillas. The noodle soup is also great with a grilled cheese sandwich. This recipe does use tomato sauce, but sometimes the soup is made with just a clear broth, like a consommé. The 7 ounce bag of noodles used in the recipe is a fairly typical sized bag that can be found in many markets. It may not seem like a lot, but know that the thin noodles will absorb the liquid and expand to three times their original size. So keep an eye on it, and simply add more liquid if it’s looking dry. Also, if you have any leftovers, those tiny noodles will continue to soak up liquid. So either make sure you don’t have any leftovers or simply reheat with added broth. To make this a more substantial meal, try adding other vegetables like corn, squash or celery. And garnish your meal with diced avocados, minced peppers or crumbled queso fresco. It had been a while since I had sopa de fideo, and it truly is like coming home; total comfort food. Enjoy. 1. Over medium heat, add the oil and onion to a medium pot. Sauté until the onions soften and become translucent, about 3-5 minutes. Stir occasionally. 2. Add the fiedo and stir to coat evenly with the oil. Allow the fideo to cook for about 3 minutes. Stir occasionally to prevent burning. 3. Add the tomato sauce, stock and potatoes. Season with salt and pepper, or to taste. 5. Serve hot. Optional garnish include cilantro, avocado or diced tomatoes. i love it I was looking for this recipe you rock little primo.